Back by popular demand, Grammy-nominated Professor Louie & The Crowmatix with The Woodstock Horns will present a concert honoring the late great Rick Danko, celebrating his music and birthday. This show will feature songs from Rick’s extensive catalog. The late Rick Danko is an integral part of the popular music landscape. As lead singer, bassist and acoustic guitar player for The Band, and as a solo artist, Rick’s contributions have been substantial. Rick & Professor Louie traveled the world playing concerts and recording, and became best friends. 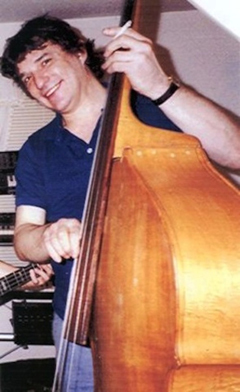 Noting Louie’s musical talents, Rick gave him the moniker “Professor Louie.” In the ’90s, Louie performed on and produced three CDs for The Band and three solo CDs by Rick Danko. The Crowmatix became Rick Danko’s backup band on many shows. 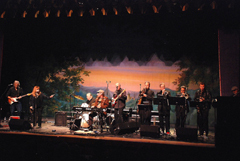 The Crowmatix are: Prof. Louie - vocals, keyboards, accordion; Miss Marie – vocals, percussion, keyboards; Gary Burke – drums; Frank Campbell – bass, backing vocals; John Platania – guitar, vocals; The Woodstock Horns is a four-piece horn section led by Dan Shaut..